This heat calls for a snow cone. Oh, wait....Now that I'm an adult AND married to an Italian, I can call it a Granita! Today's post has to be one of my all time favorites. I have an obsession with mojitos. I also may–or may not be–a little tipsy right now. 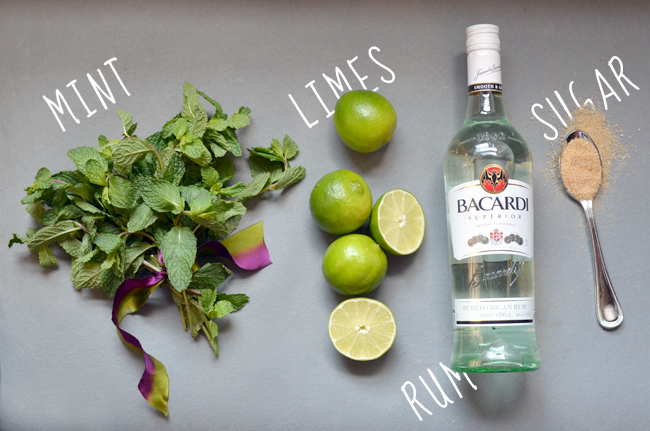 Maybe it's the mint & lime, or the hint of sugar that gets me, but mojitos are far and above my favorite cocktail. (I also happen to think they are the official drink of every fun night out.) Seeing as it's in the 80's this weekend in NYC, my challenge for this post was to create a delicious dessert without turning the oven on. 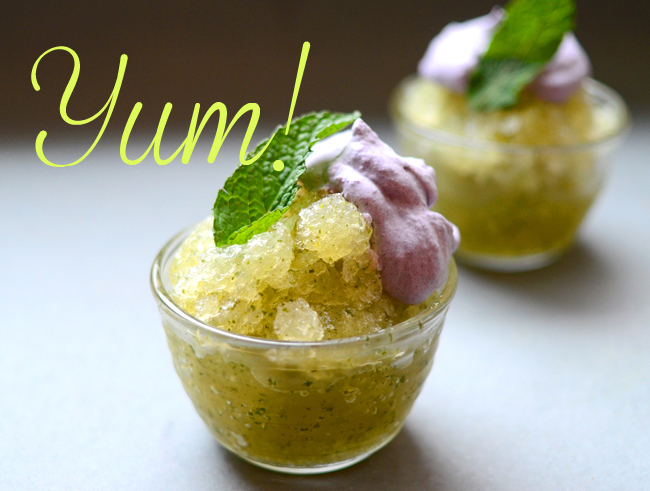 This granita is a no-fuss, ready-when-you-are dessert, and perfect for summer entertaining. Back when I lived in Texas, visiting the local snow cone stand was a daily ritual. In fact, my father even built a short-lived snow cone stand called the Sno-Shack where several of us Hurson kids spent summer days flagging down customers and stealing our own product, but thats an entirely different story. As a kid, one of my favorite flavors of snow cone was blackberry. One stand even topped theirs with a little bit of cream, which I consider a very tasty decision. This cream inspired my blackberry cream topping on the mojito granita. 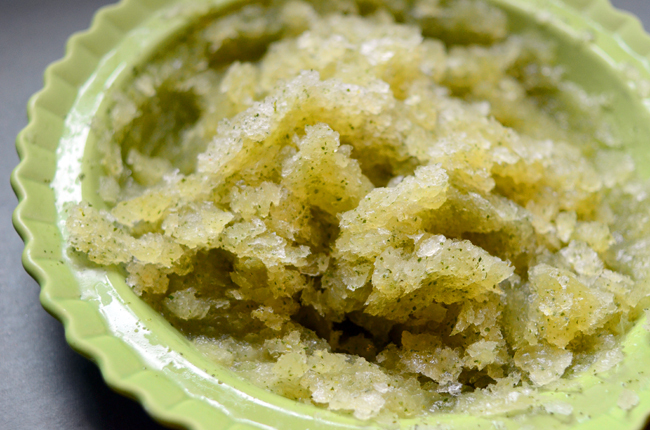 Although it's an optional topping, it adds an elegant texture and sweetness to the granita. Plus, it looks really pretty. That's reason enough to include it, isn't it? 1. 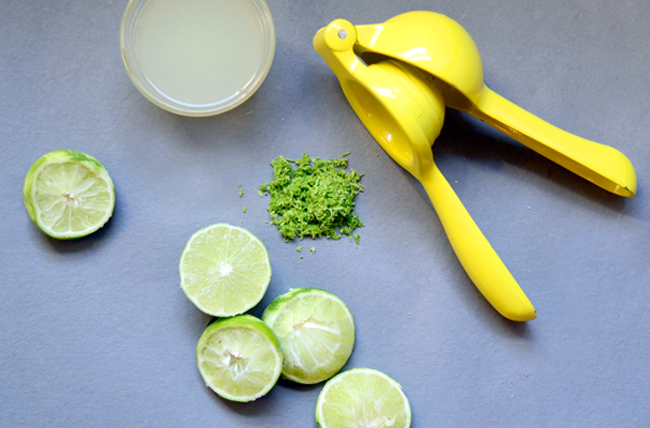 Combine the sugar, lime zest and lime juice in a small bowl. 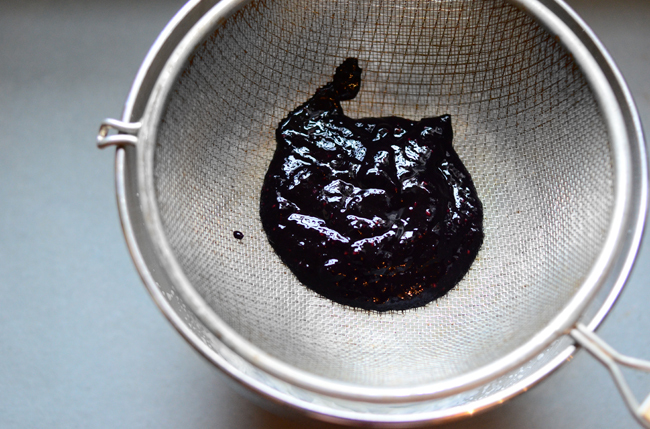 Stir until sugar is dissolved, then pour into a blender. Add the water, rum and mint leaves to the blender, and puree for about 30 seconds or until the mint is finely chopped. 2. Pour the liquid into a pie plate and place in the freezer. Scrape the mixture every hour with a fork to break up the ice crystals. After about 5 hours, you'll have mojito ice flakes. 3. Whip heavy cream in a stand mixer until peaks form. Mix in confectioners sugar. 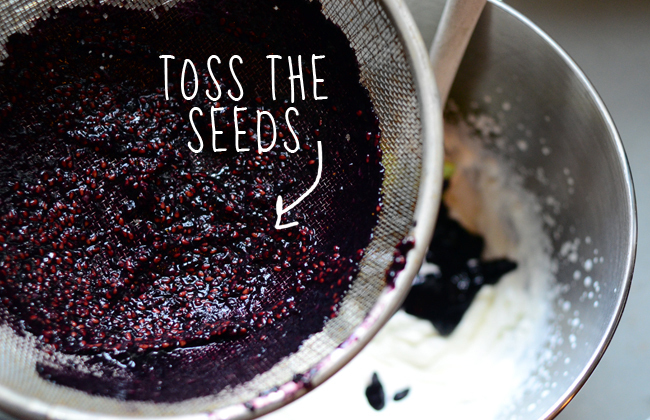 Puree blackberries in a food processor or blender and strain into whipped cream. Discard solids. 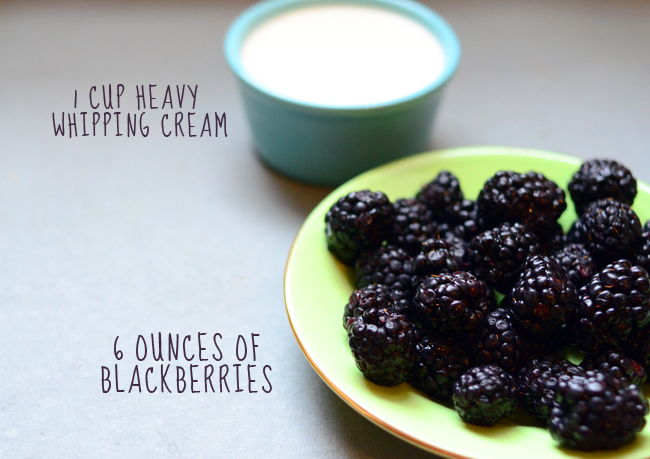 Fold blackberry puree into whipped cream. 4. 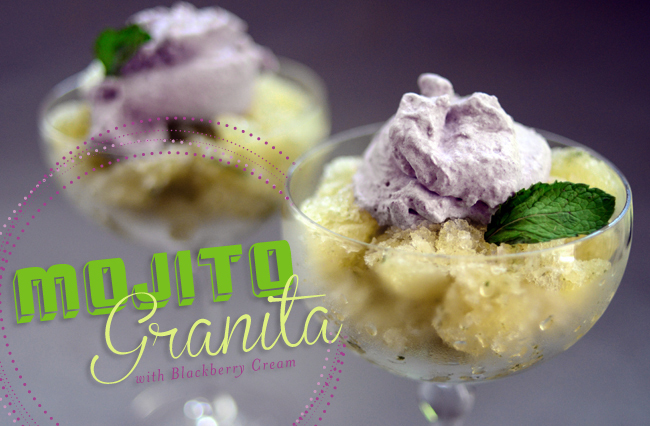 Scoop granita into small bowls or martini glasses. Place a large dollop of the blackberry cream on top and garnish with reserved mint leaves.